This very spacious apartment is situated on the third floor (with lift) in the sought after Lauderdale Mansions in Lauderdale Road. Comprising three bedrooms, one with en-suite dressing room and fitted wardrobes in all rooms. Balcony. Separate kitchen. Bathroom and cloakroom. Good storage and natural light. The property is newly redecorated with new carpets, fixtures and fittings. Residents have access to the well maintained communal gardens. 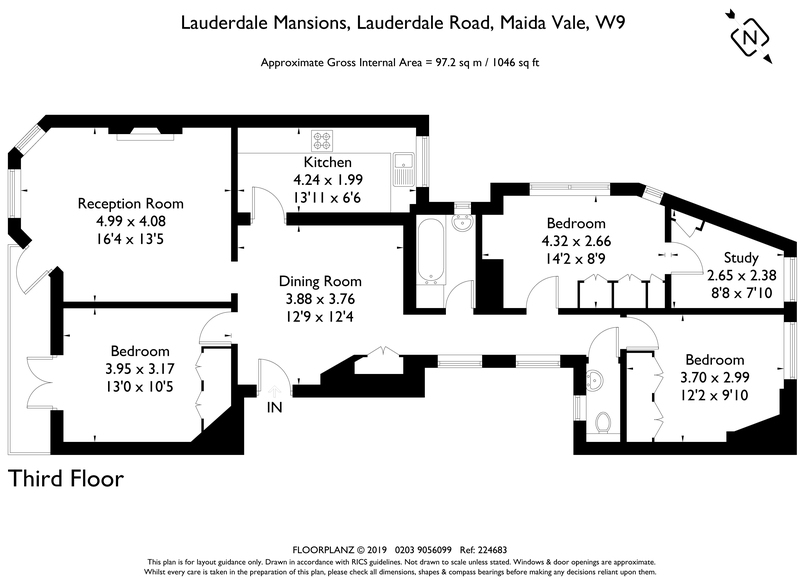 Lauderdale Mansions is situated in the centre of Maida Vale with all the shops, bars and restaurants of Maida Vale and Little Venice on the doorstep. Maida Vale tube station (Bakerloo Line, Zone 2) is just a few minutes’ walk. Just to say thanks for being such a good estate agent and for all your help over the last two years. Best of luck with all your properties in the future.